One of the very last crashes to take place during 1945 seen a Royal Navy, Fleet Air Arm Hellcat Fighter force landed on the golf course at Greencastle, Donegal, on the east coast of the Innishowen Peninsula. On the afternoon of June 24, 1945, a young pilot from New Zealand made an unplanned visit to Donegal. Sub/Lt Gerald Wills Worner was the pilot of the large single engine Grumman Hellcat fighter. Sub/Lt Worner reported to the Irish Army that he had suffered engine problems, causing his forced landing. In his discussions with the Army, they recorded that he was flying from an aircraft carrier named the 'Macaw'. This was however the name of the Royal Naval Air Station at Carlisle in Scotland. In 2011 Gerald was happy to confirm he was not flying from a carrier that day but was flying out of the Royal Naval Air Station at Eglinton which is the modern day location of City of Derry Airport. The Irish army file on this crash contains an undated and newspaper cutting reporting on the crash. As the war in Europe had ended the Irish newspapers were again able to report on such crashes. They identified the pilot as being from New Zealand and named the carrier as 'Caroo'. The Irish Army file indicate that the pilot was handed across the border to Northern Ireland on the same day while it was another week before the aircraft was recovered and transported across the border. The recovery of the Hellcat involved the supply of recovery equipment from Northern Ireland. RAF personnel were present during the recovery and the wreckage was transported back across the border on low loaders on June 27th. Gerald and his wife Gill sent on these wonderful portraits of Gerald in 2011. Gerald compiled the story of his wartime career for his family some years ago. It is presented here. 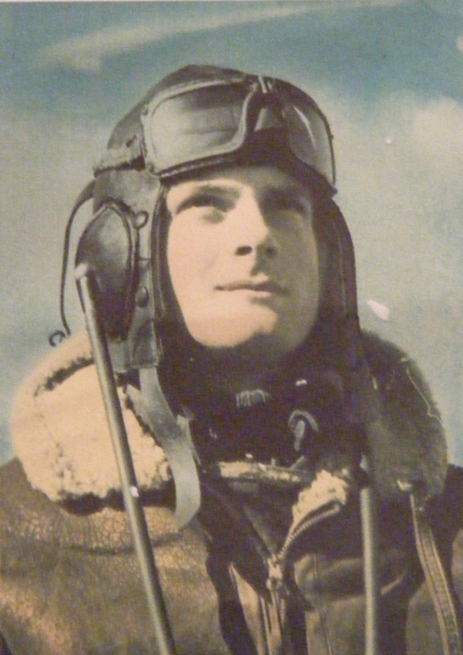 I joined the RNZAF in early 1943 at the age of 18 to train as a pilot. After some initial training time at Omaka, Blenheim, and Bell Block, near Plymouth, the group went to Rotorua for elementary training. Omaka and Bell Block were mostly army style training. At Rotorrua the elementary training was in preparation for flying training. One of the exercises was time spent in a decompression chamber to see if altitude sickness was a problem and another was to spend half an hour on a large swing to see if air sickness occurred. After passing out at Harewood we were moved to Auckland and embarked on a U.S. Navy liberty ship called The Sea Barb which was bound for Canada. The Sea Barb was not escorted - besides the RNZAF trainees it was carrying coffins of deceased US Army personnel. We were given only two meals a day and at daylight and dusk all hands were on deck to watch for submarines. After about 14 days of non stop sailing we arrived safely at San Francisco where we spent a couple of nights on an island entraining for our next step - Vancouver. Later we went to an RAF training station near Red Deer which is about halfway between Calgary and Edmonton. At Penfold, our training station, we flew airspeed Oxfords - a twin engined trainer. In 1944 I passed out after training as a Sgt. pilot. We then moved by train, via Toronto and Montreal, to Halifax where we embarked on the The Isle de France along with about 12000 other troops. Once again we were down to two meals a day and slept in rosters on strips of canvas. Some of us passed the time by playing quite a lot of Bridge and this helped, too, stave the hunger pangs! This trip, however, was not for too long and we arrived at Greenock (port for Glasgow) after a few days. From there we were moved by train to Brighton which was a holding camp. At this stage it was apparent that there were too many pilots and volunteers were called for to join up with the Fleet Air Arm which is what I did. While at Brighton we occasionally went up to London and experienced the life Londoners had been enduring for some years. The V1s were virtually a flying bomb which were unmanned and programmed to fly into London. Fortunately, most were shot down before reaching their target. The V2s were a missile launched from somewhere in Europe and also programmed to crash into London. There was no defense against these weapons. We did Navy familiarization courses at Bootle in Cumberland and Greenwich Naval College in London, after which we did a course of conversion to single engine aircraft in Errol, a station near Dundee, training on Harvards. Following this course we were formed into a squadron (892) and went to Eglinton, near Londonderry, Northern Ireland. Here we flew Hellcats, a US fighter bomber. As part of out training we did coastal searches and other such boring exercises. On one of these flights I had engine trouble and finished up crash landing in Southern Ireland, a neutral country. The locals were kind and put me on a small boat across Loch Foyle to Londonderry. Not long after that episode I crashed my aircraft on landing. This was a station at Nutts Corner, near Belfast. After spending a few days in hospital in Belfast I was flown to Queen Victoria Hospital at East Grinstead in Sussex where I spent a year being patched up. Queen Victoria Hospital was mainly a burns hospital. Many of the patients were without fingers, eyelids or hair. Noses and ears needed rebuilding - some had up to 30 or 40 operations. I had mainly friction burns to arms and face and broken bones. Hospital life was very relaxed and when not recuperating from operations we spent a great deal of the time in pubs or visiting place of interest. I finally came home in 1946. The photos above appeared in the book, Landfall Ireland, written by the late D. MacCarron. The photos are not credited in the books but it is expected they were taken by a member of the Irish Air Corps recovery team. Gerald's aircraft on June 24th, 1945, Hellcat serial number JV176 was a large single engine fighter aircraft designed for use from aircraft carriers. It entered service first with the US Navy in the Pacific in September 1943. The Royal Navy's Fleet Air Arm also used the massive Grumman fighter on their carriers. The following link to the US Navy, Naval Historical Center website provides data on the Hellcat fighter. You will need the Adobe Reader software to access this file. 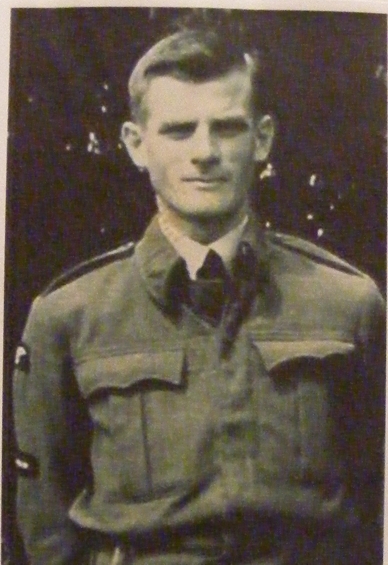 The Auckland Gazette of 1945 lists Gerald's name alongside other Sergeants of the Royal New Zealand Air Force who transferred to the RNZN in early 1945, gaining the rank of Temporary Acting Sub-Lieutenant (A). And thus, six years to the day from the start of the war in Europe, Gerald Worner ended his part in World War Two. He was the son of George Worner, Jnr and Marjorie Givens Worner, being born in September 1924. Gerald lived in Wellington and Auckland post war and worked in banking. He was a bank manager for many years before his retirement. He passed away in Auckland on the 9th September 2012. The two photos above were supplied by Gill and Gerald Worner. Below I've linked to a youtube video showing wartime pilot flying instructions for the Hellcat. Compiled 2017, with the kind assistance of Gerald and his family.